As the Trump administration steps up its fight against illegal immigration, employers must prepare for a surge in workplace audits and ICE investigations. 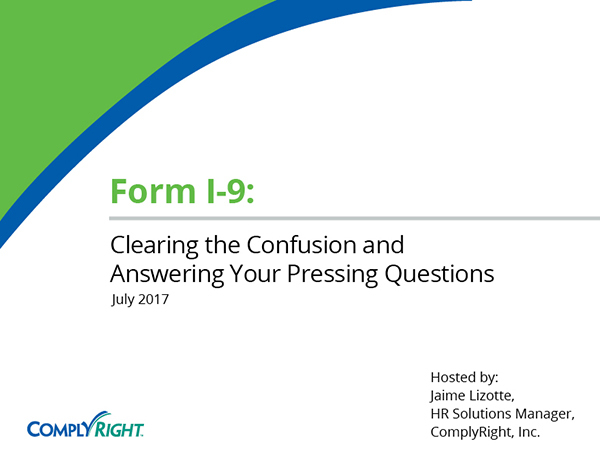 To avoid the risk of steep penalties, immediate measures should be taken to ensure I-9 documentation is compliant. Plus, it’s crucial to know your rights and obligations should an investigator come calling. This webinar with special guest Shanna Wall, Esq., will teach you more about the actions you should take to shield your business — and what to do if your company comes under scrutiny.